Successfully Added 45Watt LED Grow Light - 225LED Lights, Blue And Red LED, 2160 Lumen, Stimulates Growth, Yield, And Flowering, Energy Efficient to your Shopping Cart. With this LED grow light at your side, you’ll be able to make your plants grow and flower like never before. With its 225 high-end LED lights, this grow light generates a steady flow of Blue and Red light. The red LEDs feature a wavelength of 620 to 630nm to help your plants easily flower. Additionally, the Blue LEDs feature a wavelength of 455 to 465nm which helps your plants grow strong and tall. This amazing gizmo is great for people who wish to grow plants in places with limited natural light. With this LED grow light at your disposal, you’ll be able to grow beautiful plants and experience exceptional yields no matter the environment. This 45Watt LED grow light features a total of 225 LEDs that, together, put forth a whopping 2160 lumens of light. The gadget itself is extremely easy to install and use. It comes with a set of hooks and cables that let you easily attach your grow light to the ceiling. Thanks to its energy-saving design, this grow light works more efficient and is cheaper to use than HPS and most Halogen lamps. This lets you enjoy your beautiful flowers without needing to spend a significant amount of money on electricity bills. Your grow light has been built out of high-quality materials and features an extremely long life expectancy. Thanks to this, you’ll be able to enjoy beautiful flowers, strong plants, and massive fruit and vegetable yields for years to come. 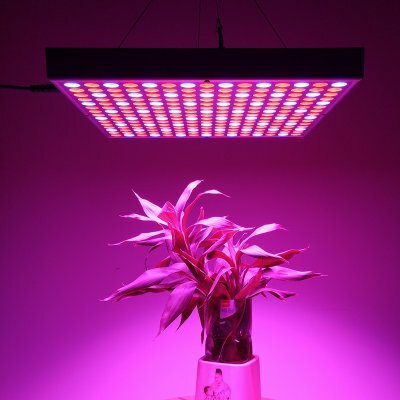 Whether you use this gizmo to make your flowers bloom or to increase the yield of your vegetables and fruits – this LED grow light is sure to meet all your demands. Simply attach it to your roof, plug it in, and you’ll be all set to grow your favorite plants and flowers no matter where you’re at. This LED grow light comes with a 12 months warranty, brought to you by the leader in electronic devices as well as wholesale electronic gadgets..